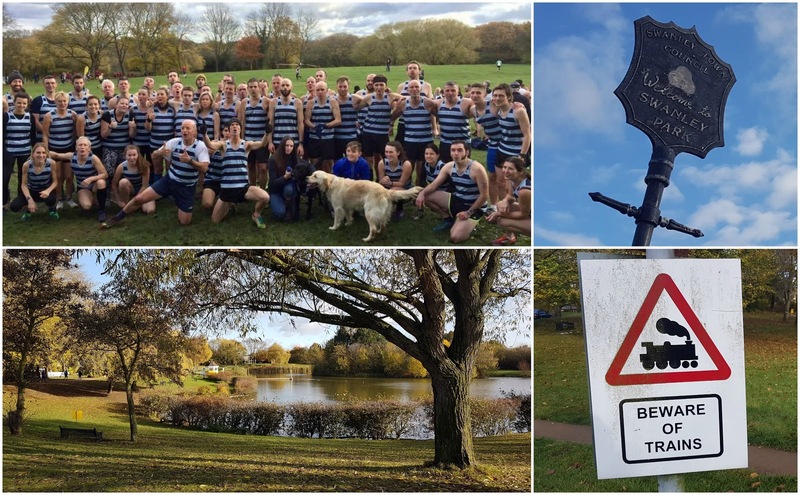 Following my disastrous start to the 2017-18 Kent Fitness League season, I headed over to Swanley Park to take part in the second race of the series, hoping that I'd have a better race without a repeat of the stomach issues that ruined the season opener at Knole Park. I started the race on tired legs that had already run a parkrun and raced the Foots Cray Meadows Kent Cross Country League race the day before. The course at Swanley was the same as it was the season before, you can read about it here, so I won't go into great detail about it. A year beforehand, I had got a brilliant start and completed the course without encountering any hold-ups. This time around, I found myself pinned into the middle of the pack at the start and encountered a great deal of congestion throughout the first few kilometres. This was topped off by coming to a dead stand still as the pack filtered through a narrow pinch point just over a mile into the race. This poor start meant that I was already way off where I would have expected to be (probably 40 seconds adrift after the first two kilometres). The rest of the race consisted mostly of reeling people in and overtaking them (which was fun), but no matter how hard I pushed there was no way for me to regain the ground I had lost early on. I finally crossed the line in 136th position in a time of 38.22, which was 59 seconds slower than a year earlier. A change I did make for this race was that I wore my trail shoes instead of my spikes, which I had regretted wearing during 2016's race. Swanley Park had not suffered much with the recent rain and the grass/dirt areas were generally pretty firm. I was much happier in my trail shoes, so was happy with that decision.